The saga will be continuing a little later than originally planned. Rian Johnson‘s Star Wars: Episode VIII, which was planned for release on May 26, 2017, will instead arrive nearly seven months later. The studio has had Episode VIII delayed until December 15, 2017. Jumping in to claim the original May release date will be Pirates of the Caribbean: Dead Men Tell No Tales. The move to have Episode VIII delayed follows the extraordinary success of Star Wars: The Force Awakens, which was the first Star Wars movie to premiere in December. In the popular holiday moviegoing corridor, it smashed numerous records, including biggest domestic and global debuts of all time as well as the biggest domestic second and third weekends, en route to becoming the highest-grossing domestic release of all time with over $861 million and the third-biggest global release ever with $1.887 billion. Written and directed by Johnson, Star Wars: Episode VIII is currently in pre-production and will begin principal photography in London next month. Kathleen Kennedy and Ram Bergman will produce and J.J. Abrams, Tom Karnowski, and Jason McGatlin will executive produce. Previously scheduled for a July 7, 2017 release, Pirates of the Caribbean: Dead Men Tell No Tales features the return of Johnny Depp as Captain Jack Sparrow with Geoffrey Rush back on board as Barbossa, Orlando Bloom resurfacing as Will Turner, and a terrifying new adversary, Captain Salazar, played by Javier Bardem, in the mix. Produced by Jerry Bruckheimer and directed by Joachim Rønning and Espen Sandberg, the film is currently in post-production. The blockbuster franchise’s previous installment, the $1 billion-grossing Pirates of the Caribbean: On Stranger Tides, also debuted in late May. The Episode VIII delay will now see the film opening opposite Steven Spielberg’s Ready Player One. Of course, that project may very well wind up relocating itself. The upcoming release date schedule is always shifting. Sony Pictures has today delayed their planned Jumanji remake and moved their Marvel Cinematic Universe Spider-Man film three weeks earlier. Click here to read about those calendar changes. 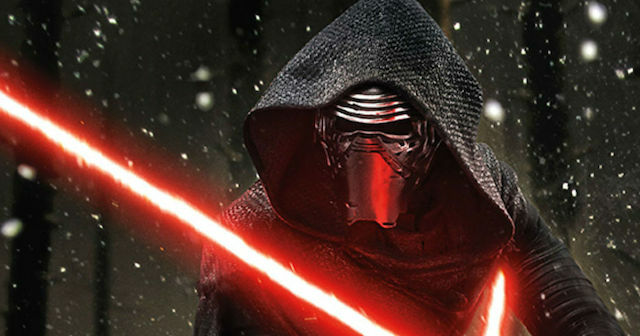 What do you think about the Star Wars: Episode VIII delay? Share your reaction in the comments below!